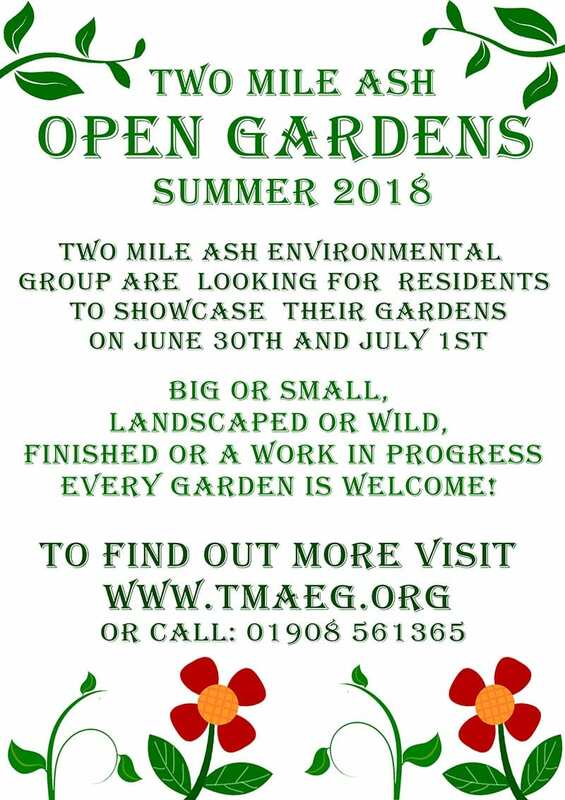 TMAEG’s largest venture last year was Open Gardens 2018, our fourth such event and our biggest yet. Radcote Lodge (garden shown below) was a new entrant and also hosted our planning meetings with the gardeners. A gallery of 130+ photos of all 24 gardens and other projects is available here. 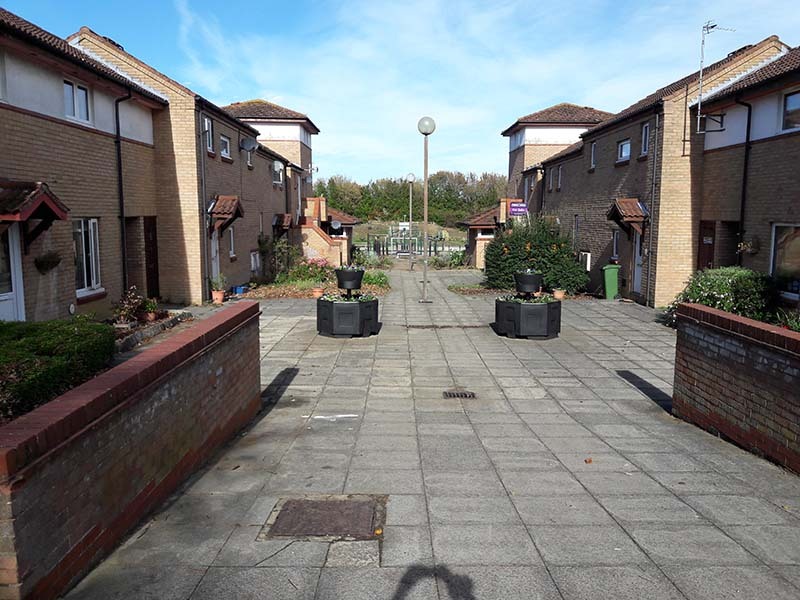 The photos shown below are of a combination of two of the TMAEG schemes that we included in Open Gardens, and of some of the other things we did during the year. This very varied area was one of TMAEG’s own Open Gardens projects – here are some of the wildflowers that came into their own after that Week-end. 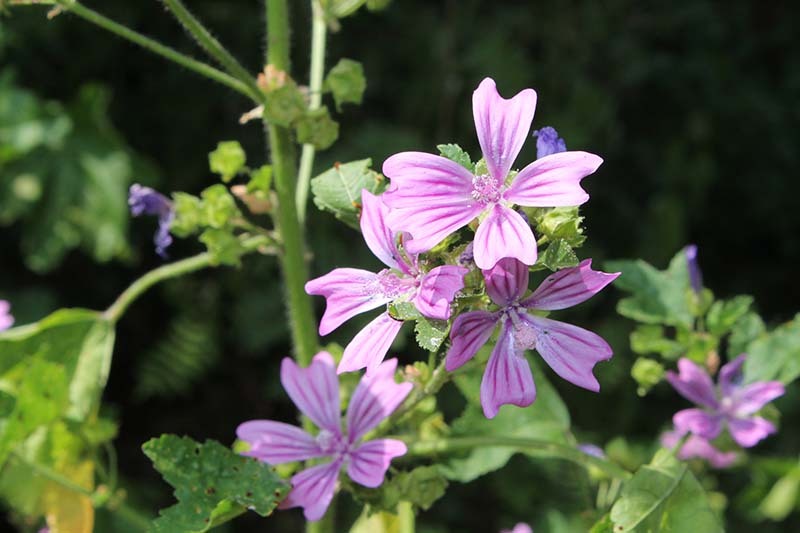 Mallow, with its pretty pink striped flowers. 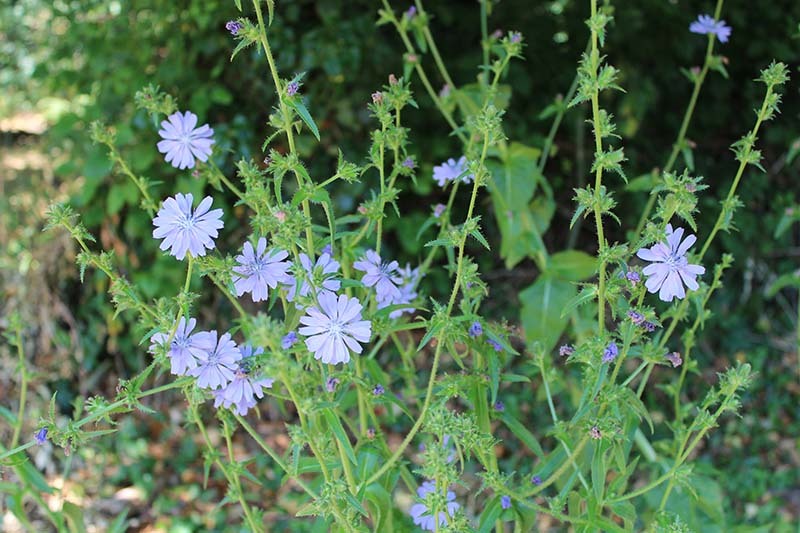 Newly appeared this year, chicory – a member of the daisy family. 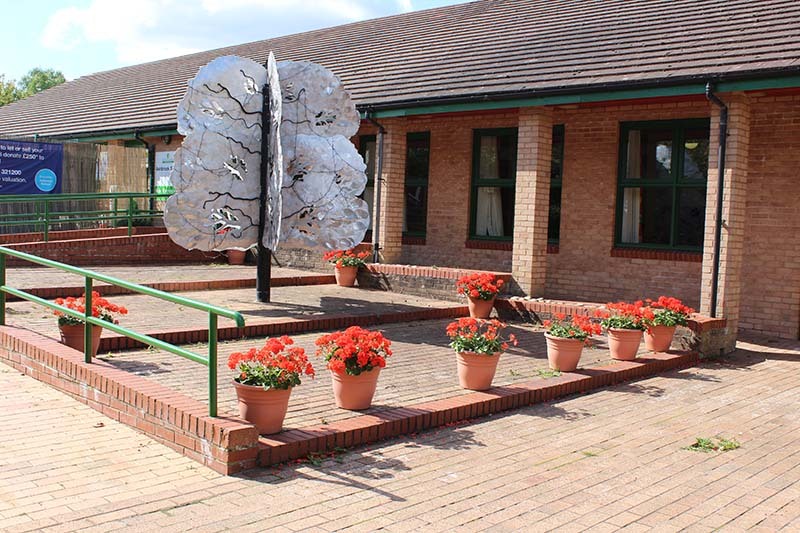 A manifestation of our partnership with Ashbrook School is the tub planting on the school forecourt where the 12 tubs maintained by TMAEG look particularly fine alongside the ‘silver tree’. This year’s display was one of our best yet, the orange/red geraniums flowering long into the autumn. ‘Spot planting’ under our road signs is becoming quite a feature of Two Mile Ash. 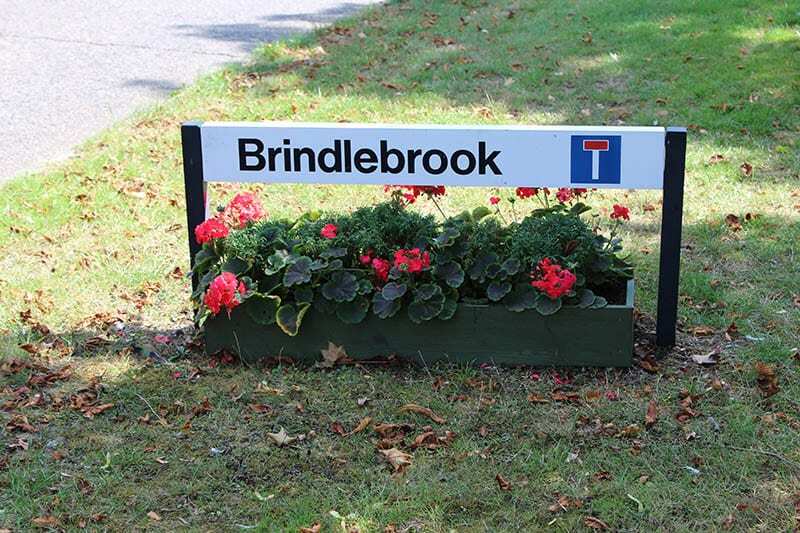 Often carried out by individual TMAEG members (this one by Lin) it brightens up these otherwise rather barren areas and demonstrates commitment to our local environment. 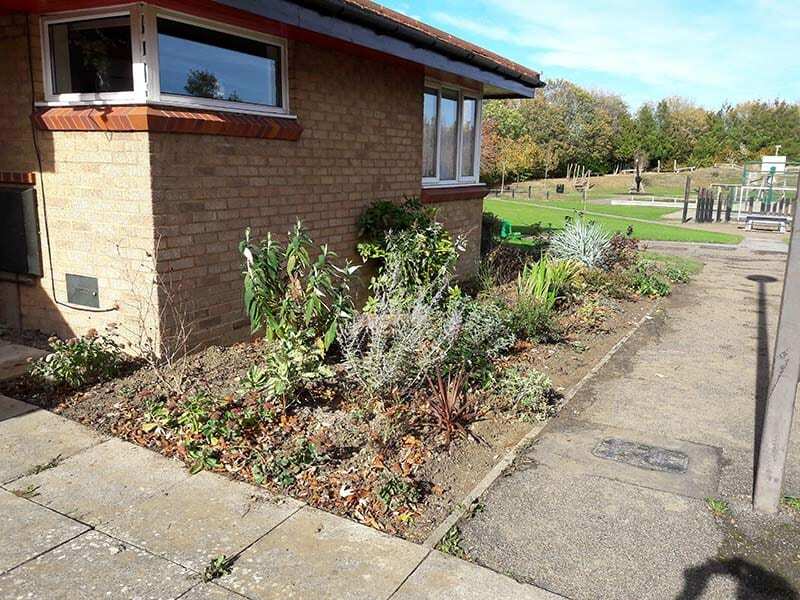 These photos show one half of the Twin Gardens and a view from the High Street towards the Local Park at the entrance to which the Gardens are positioned. 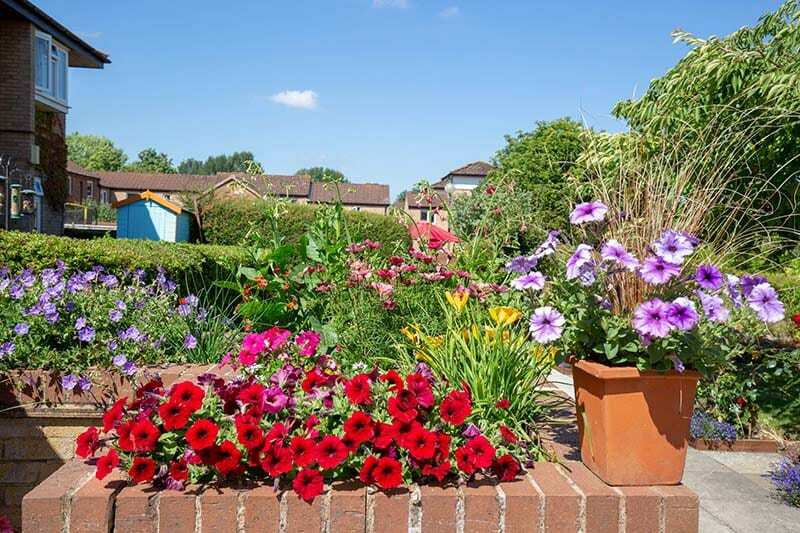 The Twin Gardens are our second community garden and our biggest entry for Open Gardens 2018. 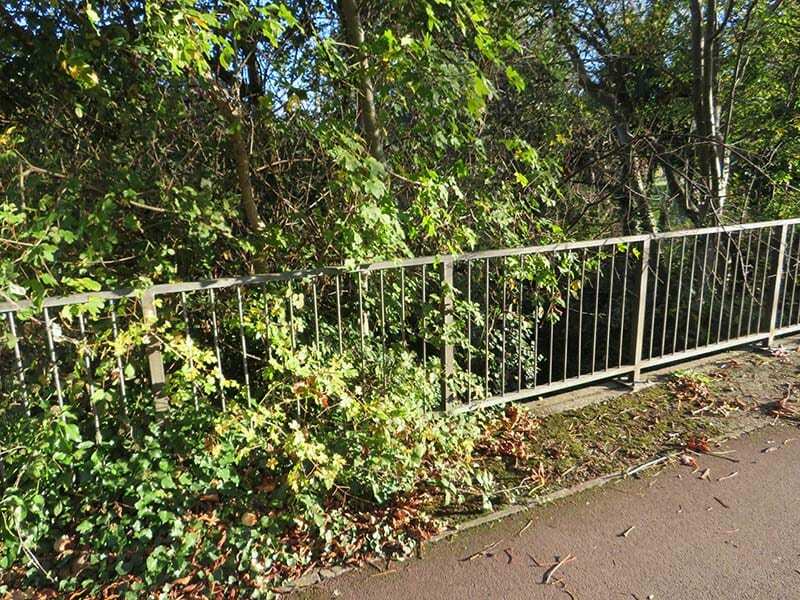 They complete TMAEG’s work along the Park Gateway area and the emphasis now will be on keeping this area in good shape, supported by the local businesses and local residents. Six years ago or so, it was practically impossible to spot that there was any water flowing in this watercourse across TMA. With the agreement of Milton Keynes Council, we adopted the corridor for enhancement, opening it up and planting trees and wildflowers. 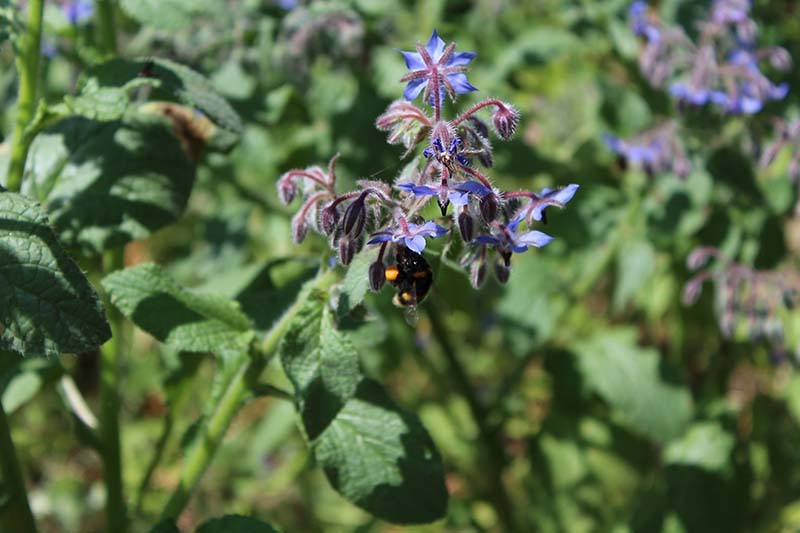 We seek now to maintain it as a biodiverse, semi-natural and visually attractive area. 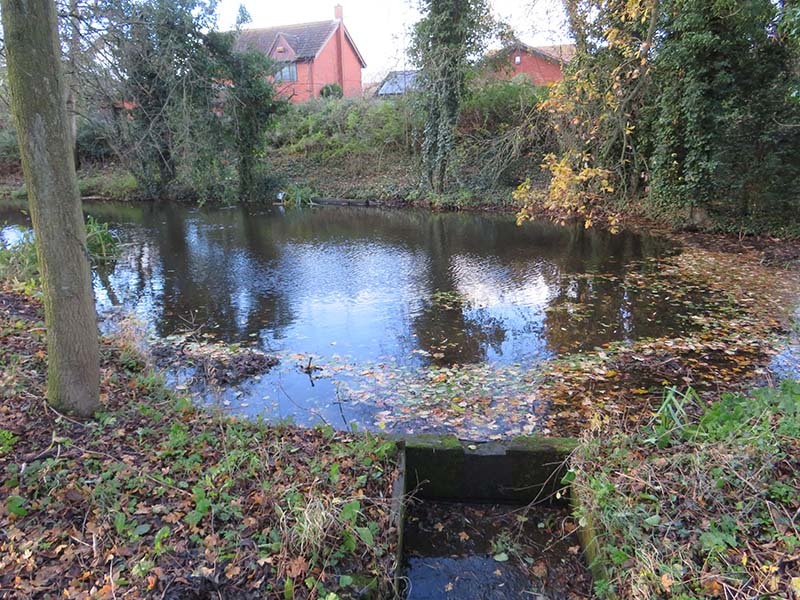 To take two examples (see photos), we aim to keep open views down the stream from the bridge over the High Street and to maintain the stream banks in a stretch of the corridor where wildflower seeding was carried out some five years ago (see above). The Ash Brook Corridor, working on the stream banks. 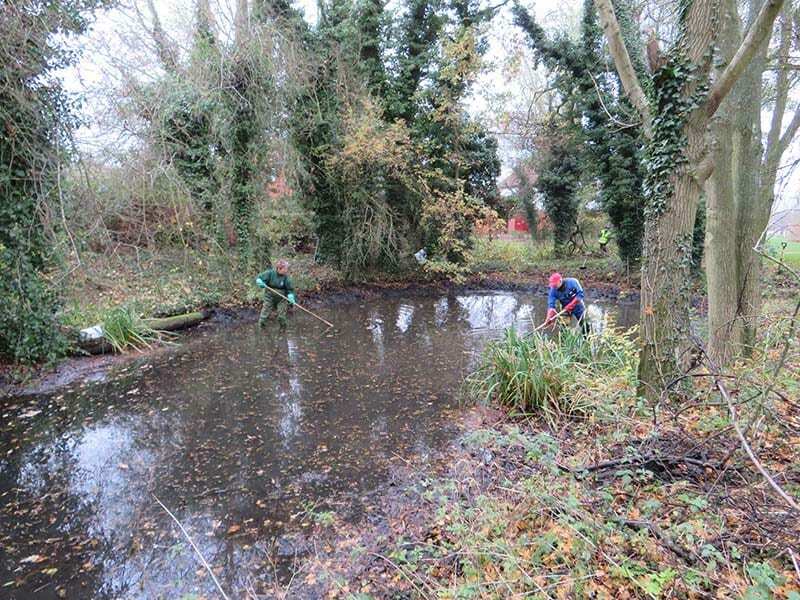 We ‘autumn clean’ the Pond every year to remove branches and leaves and thereby prevent overmuch silting up. With our ten volunteers this year we were able to do not only that but also much work on the surrounding area. 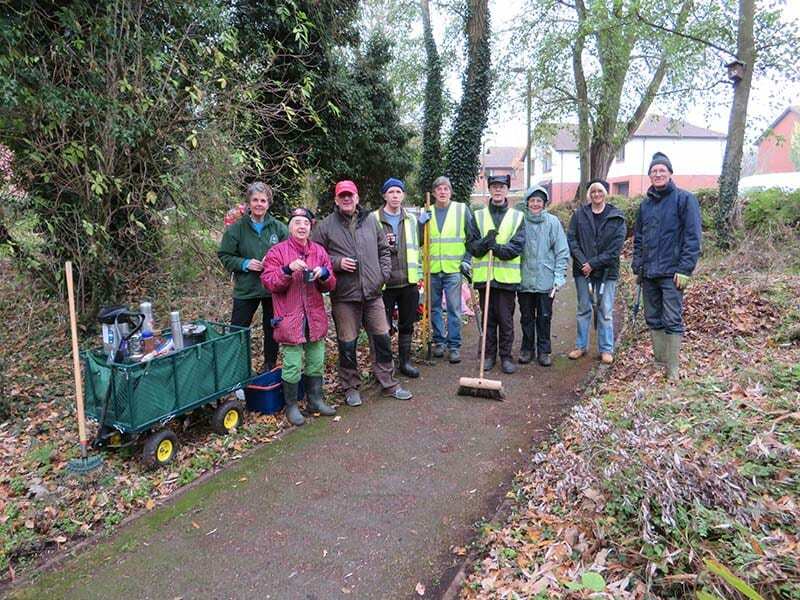 The stream sides were selectively cleared and the path was given a good sweep. One unexpected bonus, a wallet stolen several months ago was found in the pond and returned to its owner! Not surprisingly the money was gone but she was pleased to get the wallet back, nevertheless! Dave and Clare with time for a chat! 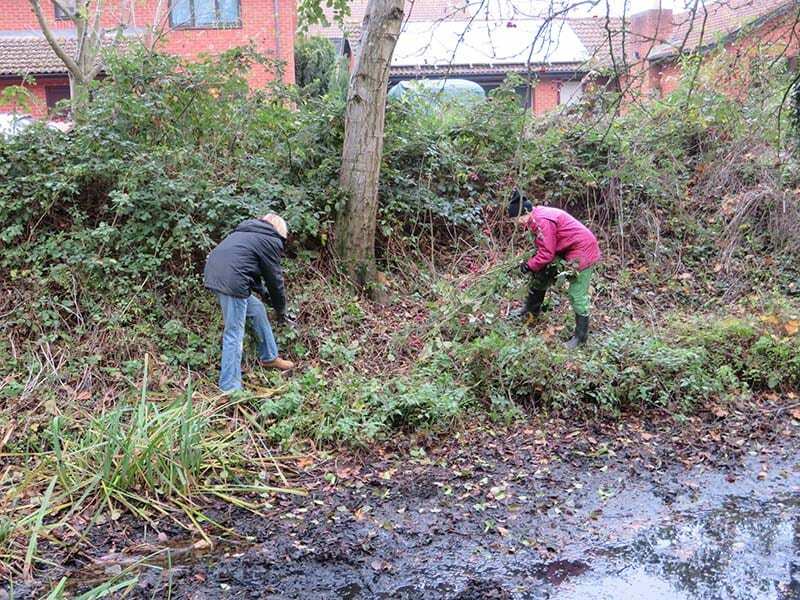 Gil and Barbara clearing brambles from the slopes behind to enable other wildflowers to spread. 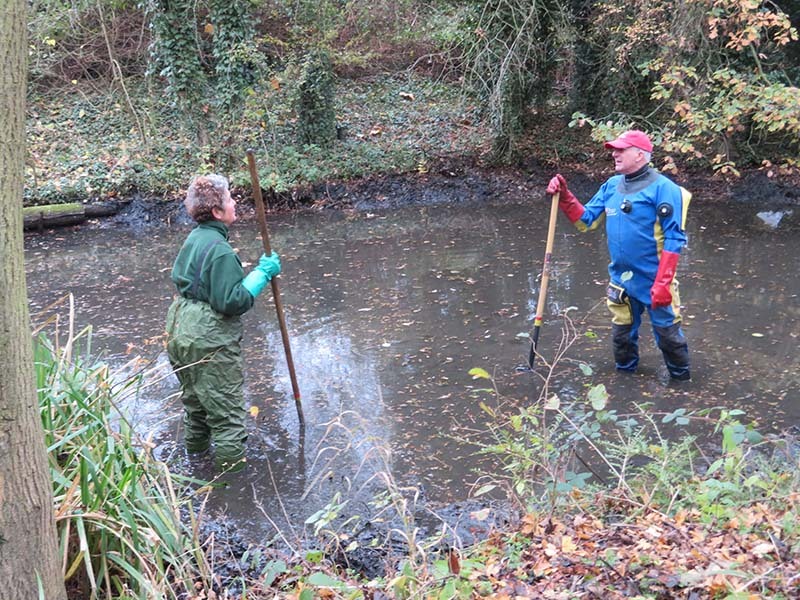 The TMAEG volunteers providing an ‘autumn clean’ to the Pond. 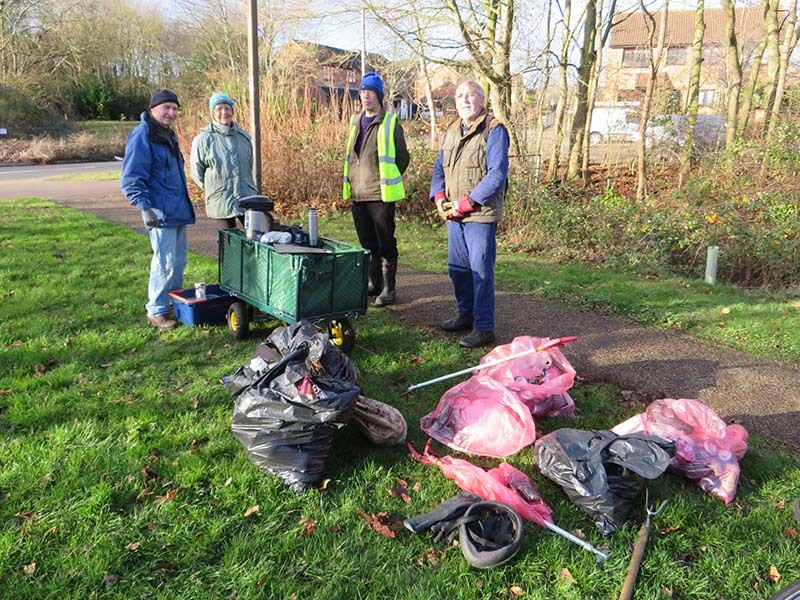 On this litterpick we tackled the section of the Ash Brook between Downlands up as far as the edge of the Local Park Play Area. Five bags largely of cans and glass bottles were collected. 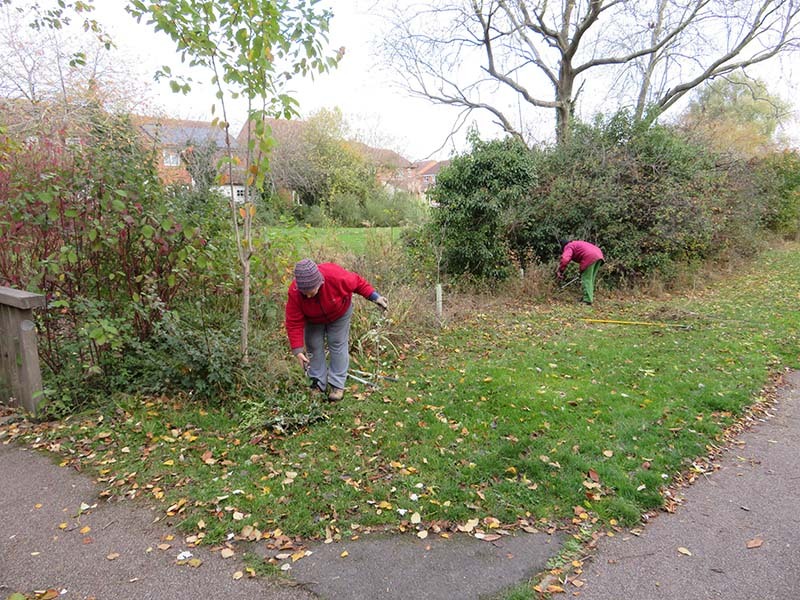 With support from the Parish Council, TMAEG has recently bought two Lithium Ion battery powered tools – a hedge trimmer and a strimmer. 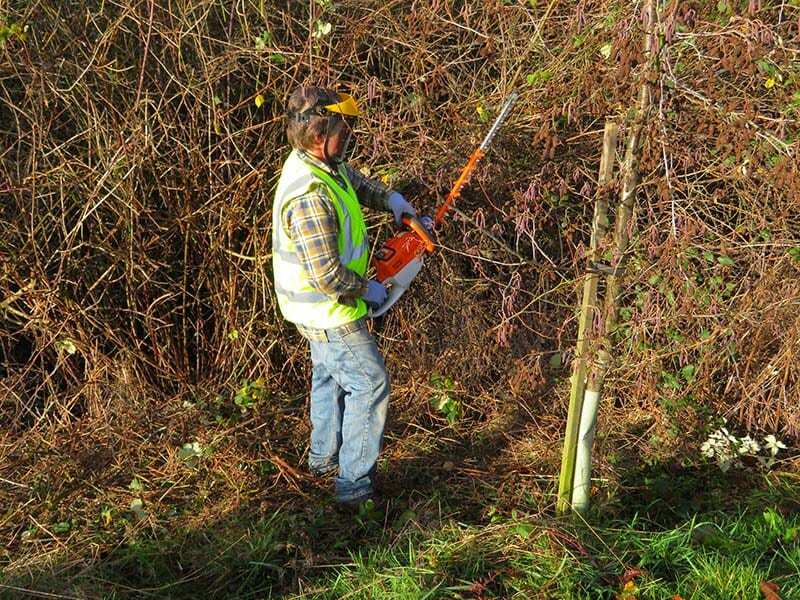 We have now tried them out on several sites – the photos show Peter operating the hedge trimmer in a length of hedgerow containing TMAEG trees. He was quickly able to cut away the brambles to prevent encroachment on the trees. 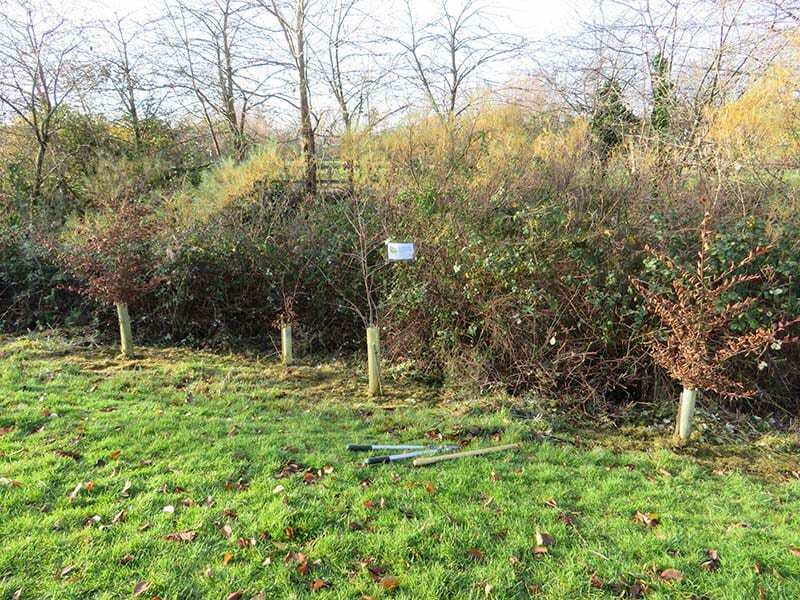 Brambles cut away to prevent encroachment on the trees.